In ecommerce projects you typically want to track the shopping experience of your customers. Pimcore supports standard ecommerce trackers, that can be leveraged to implement (product) event tracking in a standardized way. Subsequently you find a best-practice standard implementation for the Google Enhanced Ecommerce tracking, which you can use as a skeleton for you own implementations. Ensure that the Google Enhanced ECommerce Tracker is added to your ecommerce framwork configuration (yml). Download and install ECommerce Funnel js. Add ECommerce Funnel js on each page of your website. In order to access the relevant tracking data, you need to (1) save the attributes either directly in the code, or (2) in a kind of reusable repository in your JS code. 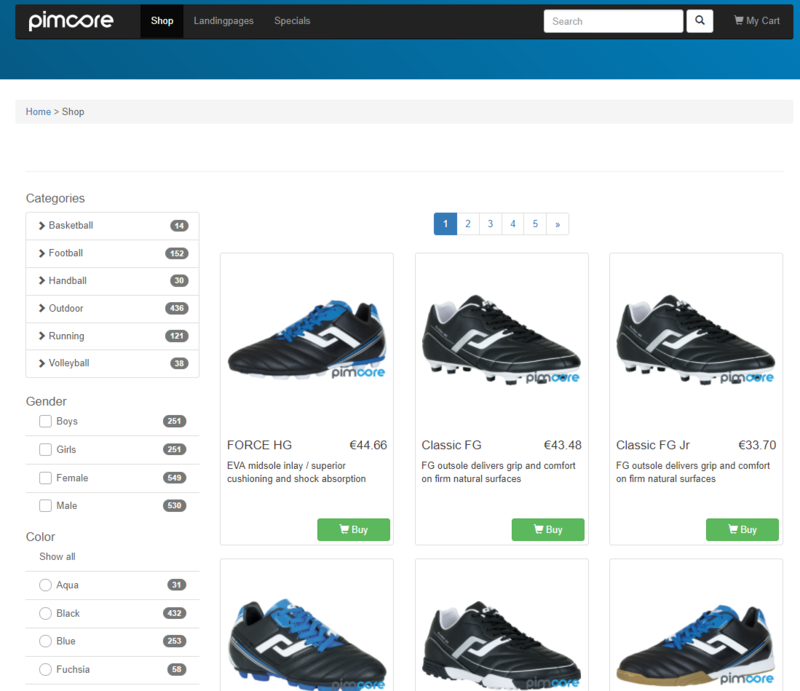 Example (1): Code of one grid item within the product overview page. <img class="img-responsive" alt="DREAMBRAND Toptrike Dreirad blue"
product impressions (support for pagination; based on the js-ec-productclick attribute). product clicks (based on the js-ec-productclick attribute). Note that when a product (impression) is clicked, a product click event must be sent to the Google framework. The next page must not be loaded before. // 3) track enhanced Google action. In most cases it will be necessary to create your custom TrackingItemBuilder, where you can place additional mappings between your custom product object and the tracking item, such as brand, tax, variant information etc.! You might also want to add additional events after each Ecommerce event if you combine your approach with the Google data layer library.